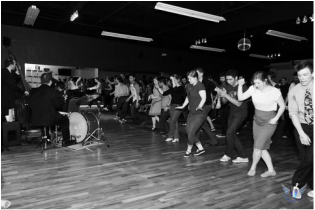 We can usually be found social dancing at the Syncopation Foundation's killer weekly dances on Tuesdays, Thursdays & Fridays in the Seattle area! 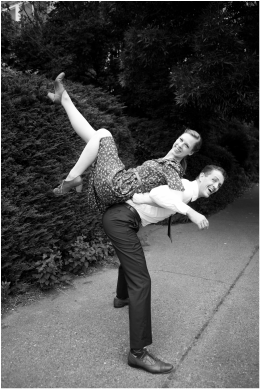 All of the information on those parties and more Seattle-based swing dance things can be found at SyncopationFoundation.org. I’m potentially available for Private Lessons any day of the week, but my schedule is limited these days due to demand and travel; Email me at ben@syncopationfoundation.org and we’ll see what we can work out! Private Lesson rates are a basic $70 per hour for one or two students at a time. More than two students changes the rates and varies, depending on the material and the number of students. I can also cut you a deal if you're in the Seattle area and would like to set up a bunch of lessons up front. Let me know if something like that sounds like a good fit. I teach private lessons locally In Seattle and Redmond. If you're interested in private lessons outside the Seattle area let me know as far in advance as you can if you'd like a lesson or two when I'm on the road in your area so I can secure us some space. Drop me a line and we'll figure out the details!